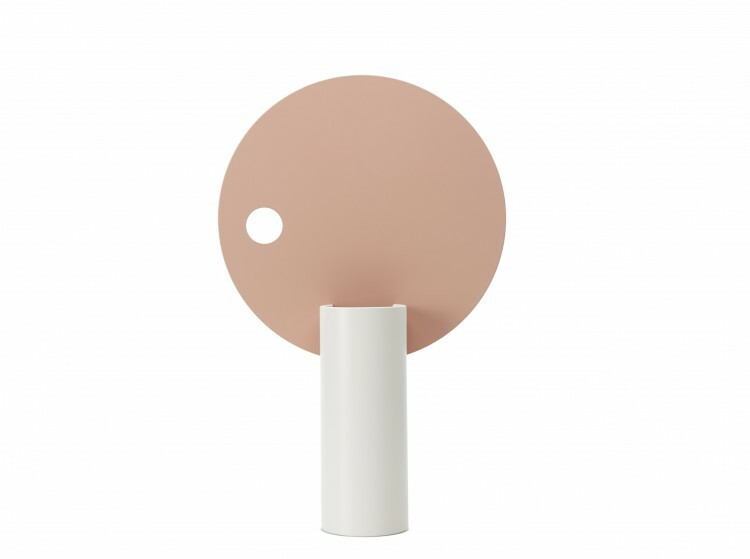 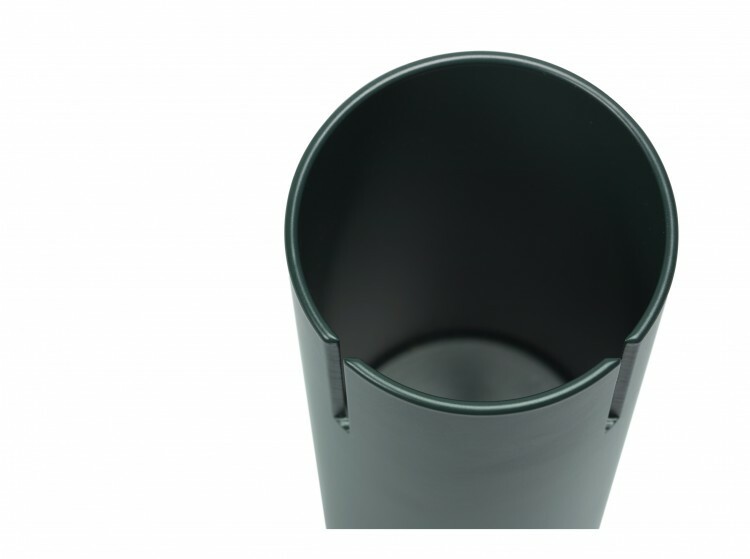 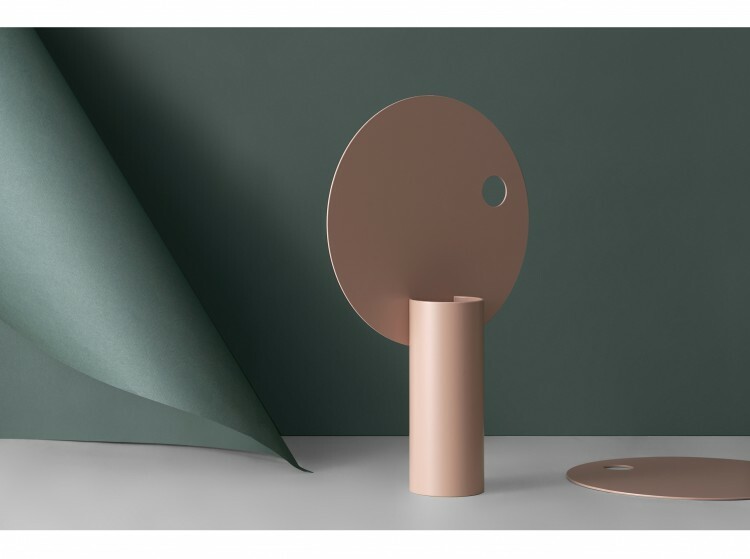 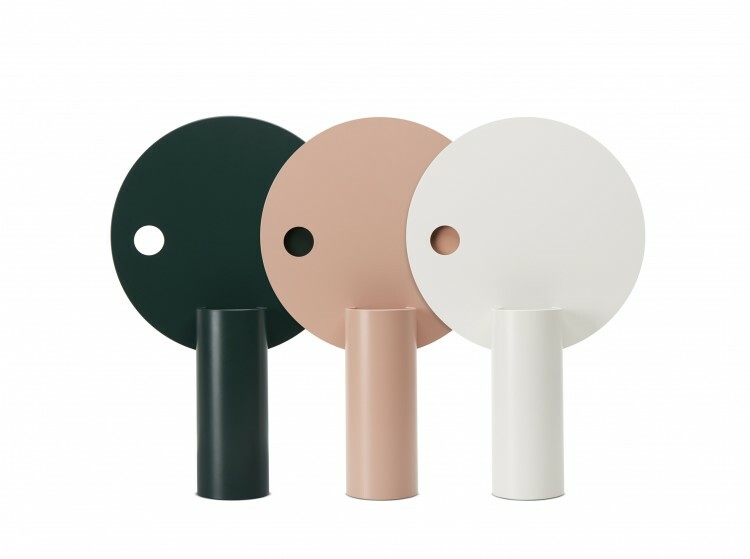 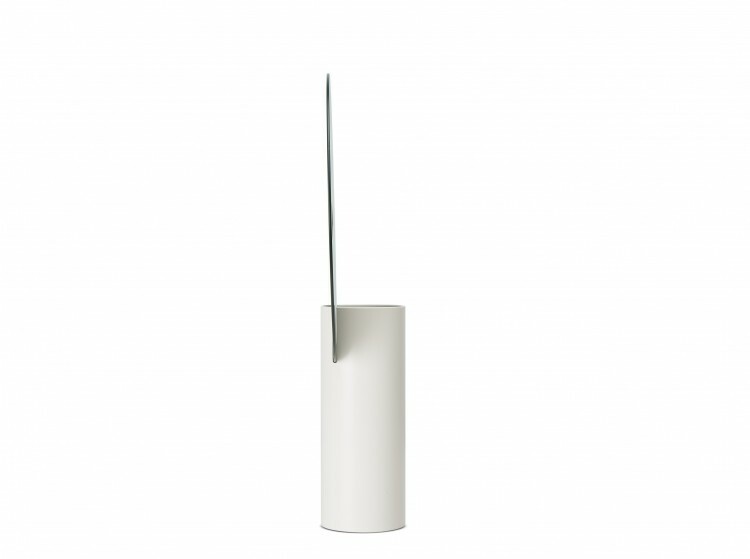 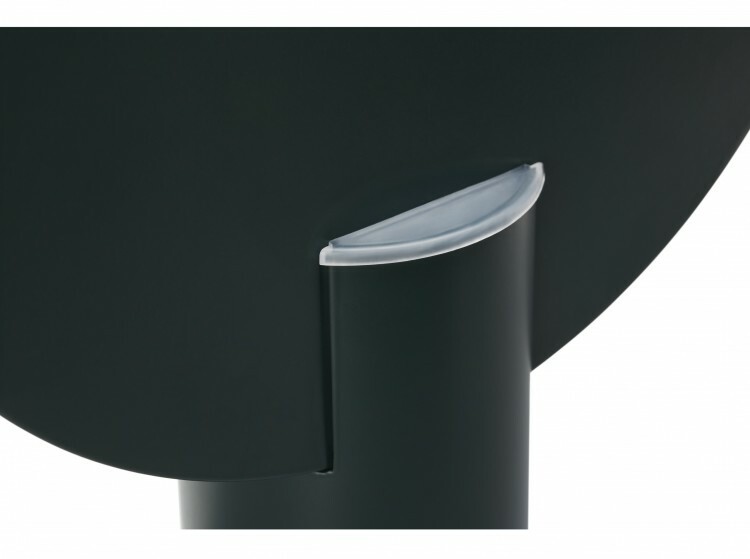 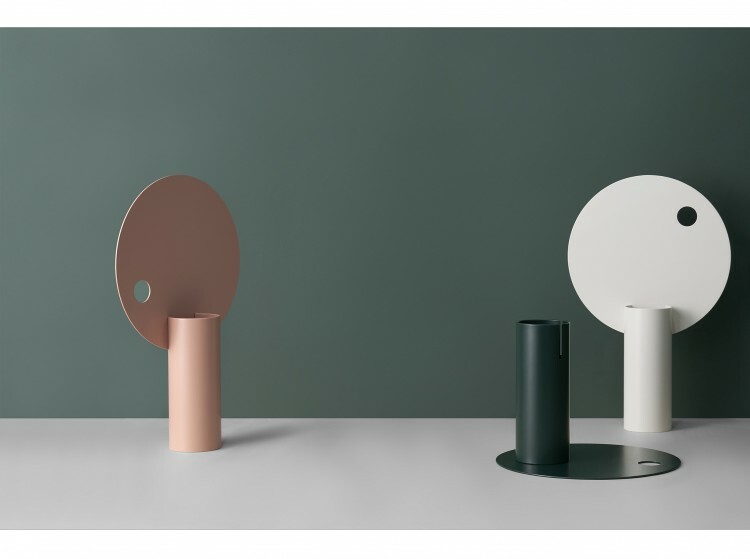 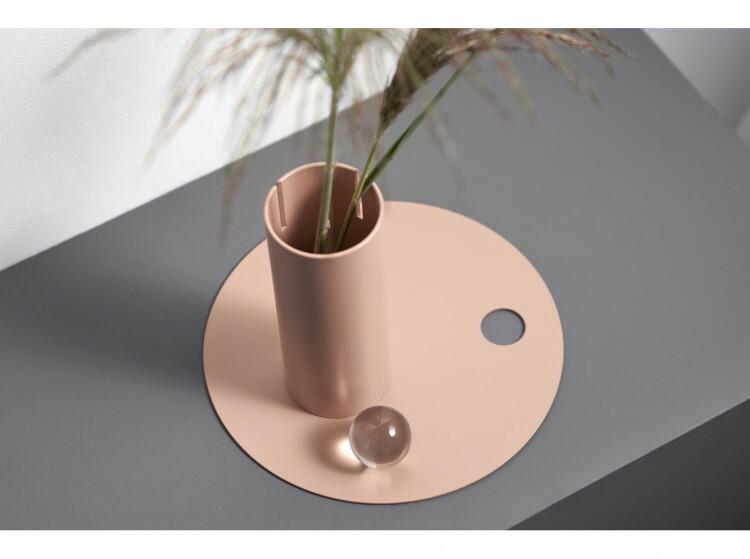 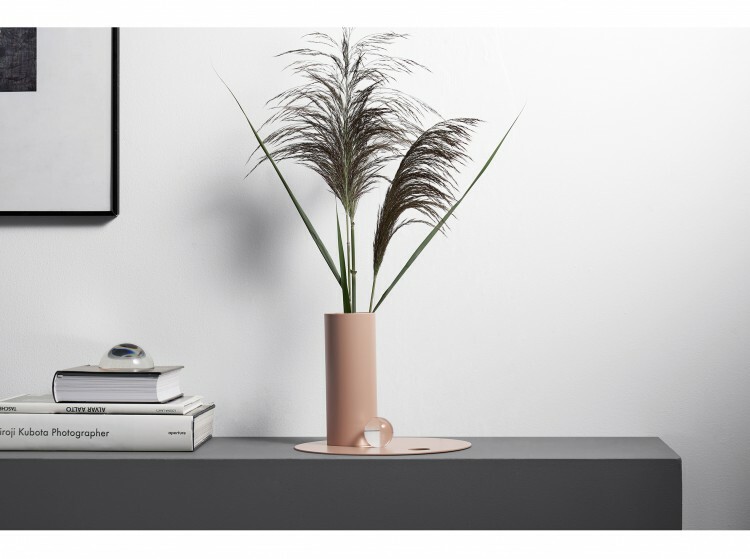 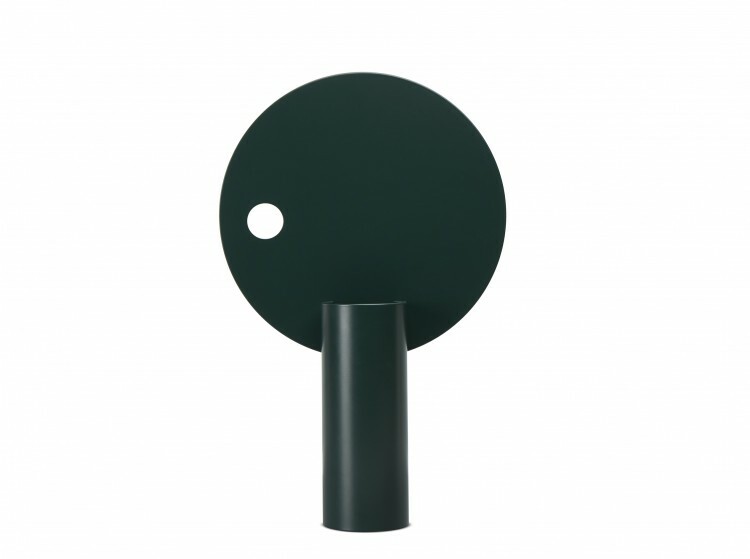 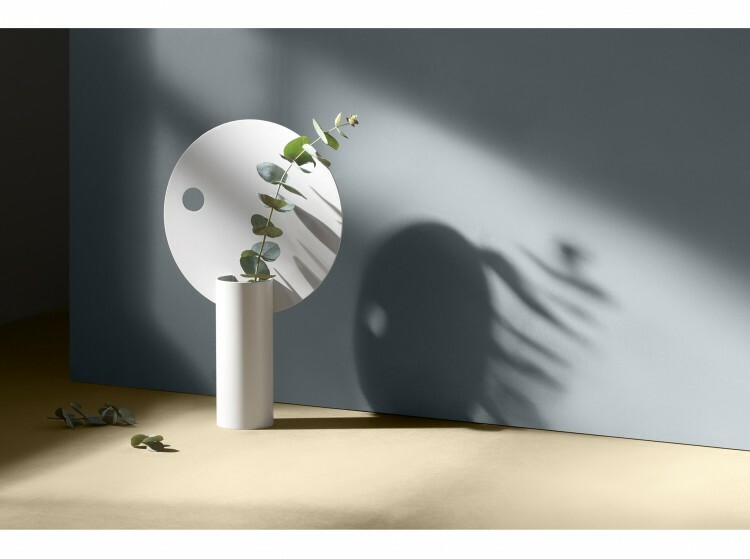 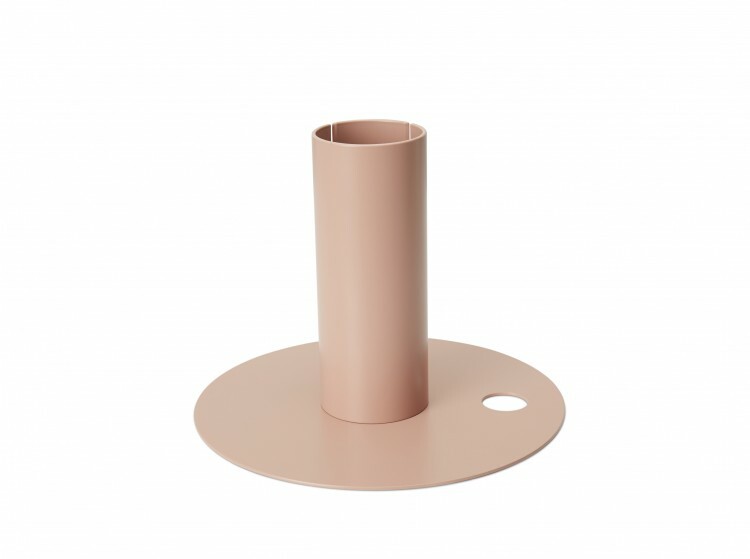 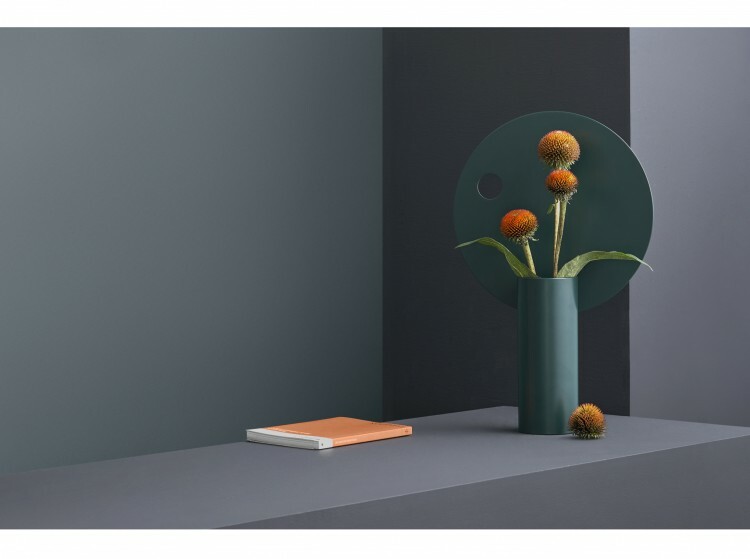 The flower vase π is made of lacquered steel. 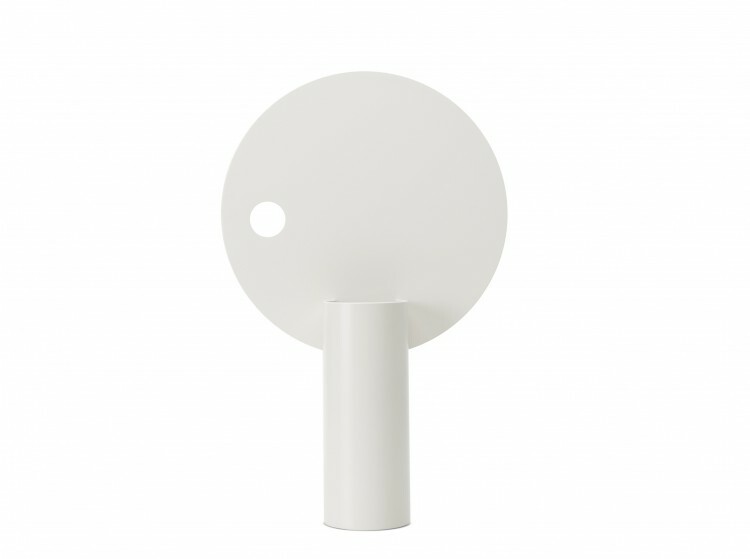 It has a simple and elegant geometrical shape with a modern look. 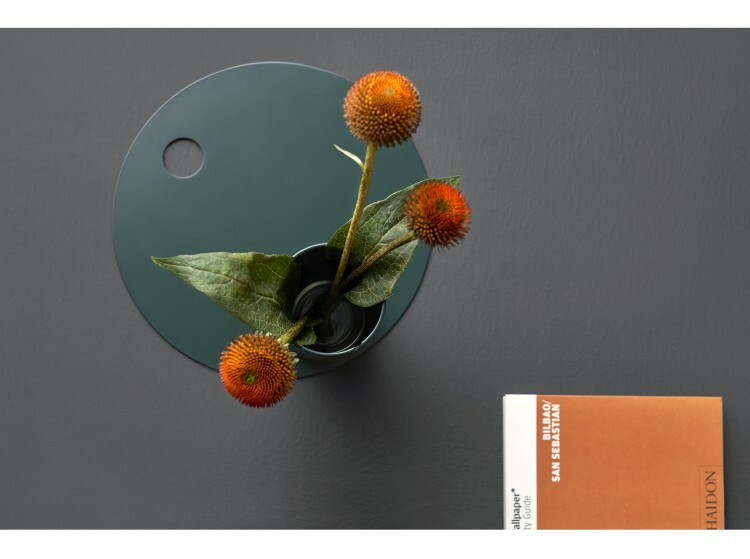 The disc placed in the back highlights the flowers as a canvas and it can be easily unmounted and placed underneath the vase, allowing different compositions for other decorations.